What kind of umbrella gets the royal sign of approval? All our umbrellas are produced to the highest quality and come with a two year guarantee as standard. So rest assured, each and every customer gets the ‘royal treatment’ and umbrellas that are both remarkably durable and incredibly handsome. 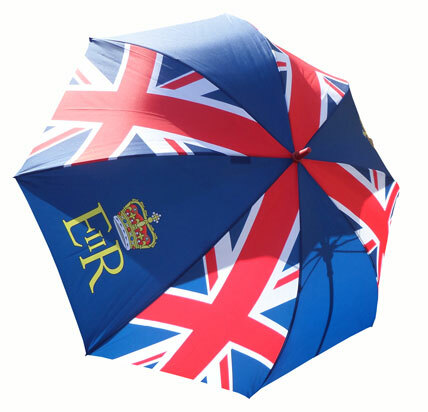 So if you’d like logo umbrellas fit for a queen – our clients are in great company! – then submit your enquiry to us via our quick quote form and we’ll be in touch. Our umbrellas can be extra-large or telescopic small… it’s up to you. For more on the design options we offer, ranging from contrasting perimeter tape to novelty shaped umbrellas, handle engraving to custom packaging, check out our custom umbrella design options page.